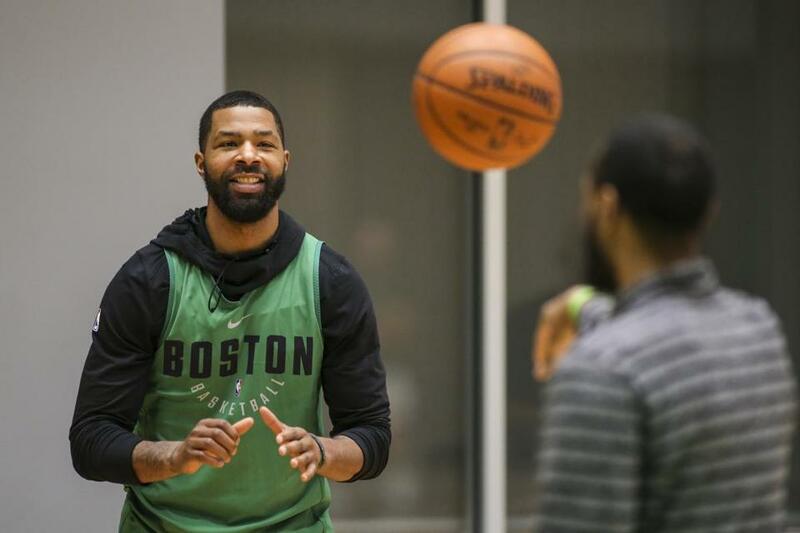 After the Celtics coughed up a 28-point lead and lost to the Clippers on Saturday night, forward Marcus Morris launched into a diatribe in which he questioned the team’s attitude and camaraderie while making it clear they all needed to find a way to make this fun again. On Monday, the team reconvened for the first time since that loss, and as they sat in the film room to watch some of Saturday’s unsightly footage, Morris wanted to be sure his teammates understood why he spoke out. He didn’t think they’d be offended, but he wasn’t sure. And then as he explained himself, it became clear that they actually agreed with him. But Morris realized he had not taken accountability for his own slip-ups. So during the film session, he made those clear to his teammates, too. “I need to be more passionate,” Morris said. “I need to bring my toughness back to the game. Regardless of what’s going on, I still have to be that fiery player to make those fiery plays. Me and Smart. That’s an aspect we bring to this team that’s much needed, and I find myself sometimes forgetting that. Read: Why has the Celtics’ defense been so poor in second and third quarters? On Saturday, Morris said the Celtics’ lack of joy has been apparent for a long time, which seemed a bit surprising considering the Celtics had won 10 of 11 games prior to this recent two-game hiccup. On Monday, though, he clarified that part of his statement. He stood by his general point, however. If these Celtics are to have success, they need to recapture the fun that was more obvious last year, and at some points this season. Smart said that the lack of fun and joy is inextricably linked to the team’s effort. When one player sees another tussling for a loose ball or diving for a steal, it is contagious. Yes, this is the most talented team Smart has played for, but it takes more than that. Smart is defined by his grit and intensity, but he acknowledged that he has not always played as hard as he knows that he can, either. He said that will change. Smart is the most tenured Celtic, and he has seen this team evolve from a gritty group of overachievers to a talented group that is expected to challenge for an NBA title. But he said that this team cannot lose sight of how it was built. Celtics point guard Kyrie Irving, who strained his right knee in Saturday’s game, will sit out against the 76ers on Tuesday. Adam Himmelsbach can be reached at adam.himmelsbach@globe.com. Follow him on Twitter @adamhimmelsbach.